Canyoing in El Pillán offers good action for beginners and those with more experience in an amazing volcanic terrain with a nice view of the Villarrica volcano. 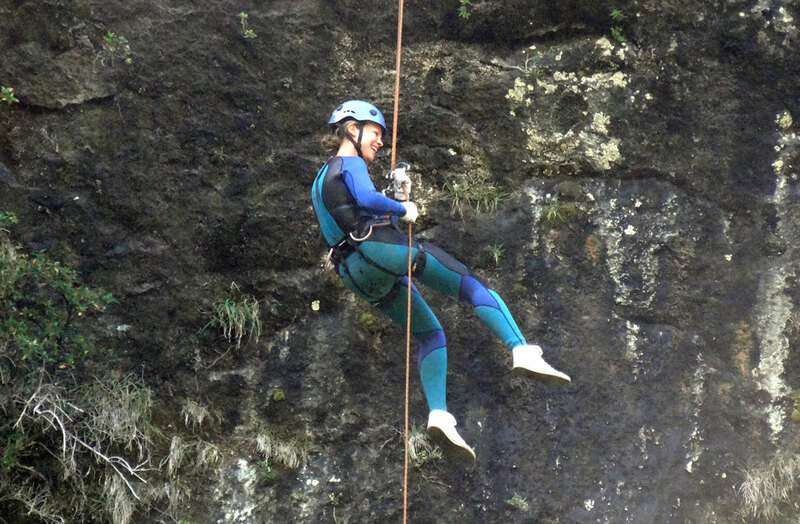 The adventure includes a rappel of 22 meters next to a beautiful waterfall to get into the canyon. Once you get in there you will find different small slides and jumps plus an incredible and unique zip-line. Due to the combination of climbing, water activities and slides, Canyoning is for everybody: Adventure, sports and fun loving people.